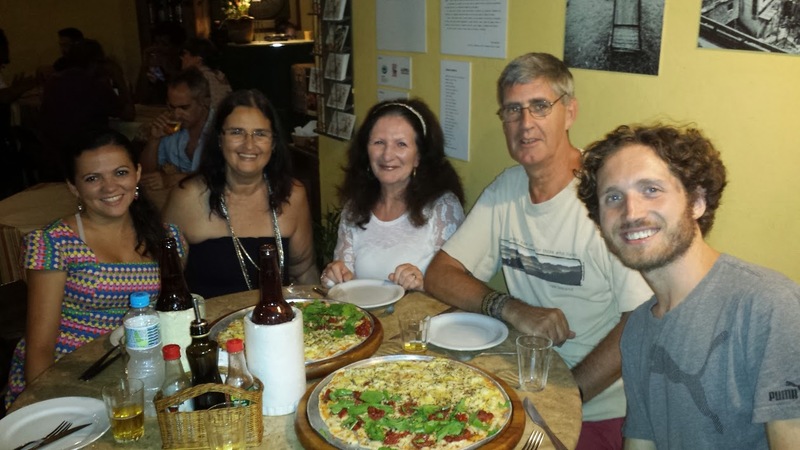 A ‘last supper’ with friends in Rio for Dave & Shelagh – but will this be their last! Dave & Shelagh have been supporting the team at the Living and Learning Project through challenging times as there was a real possibility, and what looked like probability, that the project would have to close its doors. Thankfully the doors are to remain open. Dave and Shelagh have a last meal with friends connected to the project, Rose, Beth and Tom before returning home to Longridge. Will they go back to Rio? Will this be their last meal with these wonderful people? Somehow I don’t think so! Welcome home Dave & Shelagh – don’t unpack the suitcases!! As always a memorable trip. The Pizza was excellent so we may go back !! !